I bought 5000 points from Club la Costa on the Costa del Sol in 2011, I then upgraded to fractional ownership and traded in the first timeshare points. So all that was OK. When i bought the fractional the salesman said, after 2 years i could re sell them back to CLC if i wanted. Well cut a long story short, now CLC won't. I contacted Mercantile Claims, who want to take my case however i have heard bad thing about them, any advice. This company will come up time and time again until it's shut down like the rest of the legal freaks. Stay clear of them, You will get burnt, at the back of the legal team is a known convicted criminal. The Smiths run the company and they were both involved with eth Eze Group Fraud. If you think you have a claim, let J Correa deal with it. 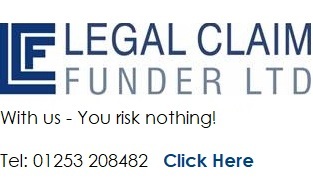 JCLA.AS have won loads of compensation claims against CLC.